That, however, is about to change. Under the auspices of the Appraisal Foundation, a well-recognized authority on valuation, a team of valuation professionals has been readying guidelines for these instruments. 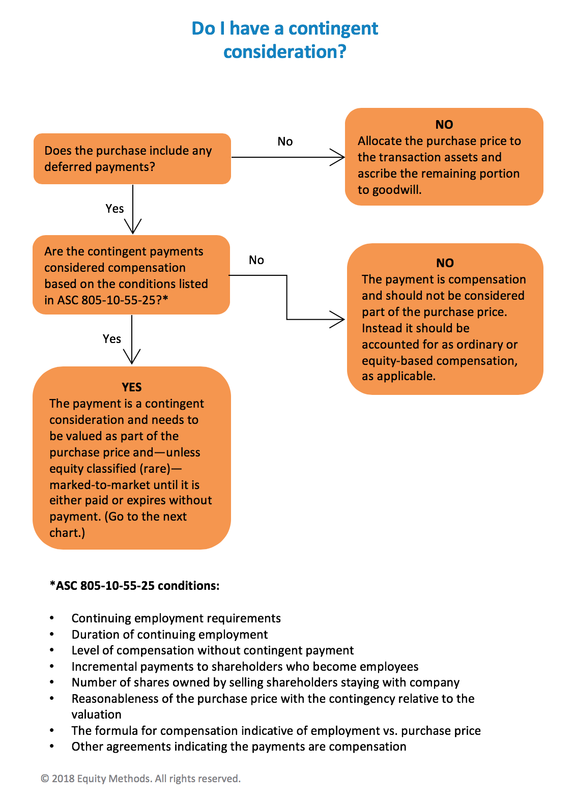 In the August 2018 issue of CPA Journal, I review the definition of contingent consideration and explains details of the proposed guidance. See the story online at the CPA Journal website—or download your own copy via the button at the top of this page, on the right. 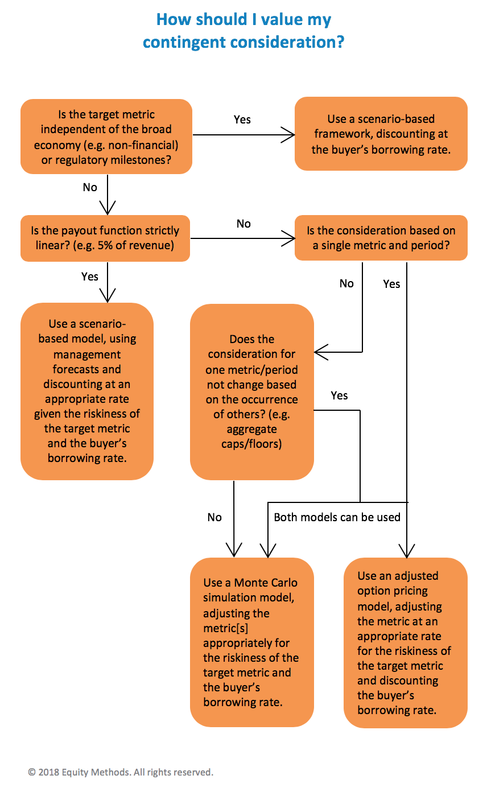 As a companion to the article, here are a couple of flowcharts to help you figure out 1) whether you have a contingent consideration, and 2) if you do, how you should value it. Questions? I’m happy to help. Please contact me.